In the run-up to the EU’s Eastern Partnership summit, where association and trade agreements are due to be concluded, Russia is taking preemptive countermeasures. It resorts to commercial warfare on Ukraine (whose leadership’s past subservience invites continuing Kremlin blackmail) (see EDM, August 15), political destabilization in Moldova (see EDM, July 29), military moves in Belarus (see EDM, June 21, 27), consolidation of the Armenian “outpost,” and building barbed-wire fences inside Georgia in response to Tbilisi’s anxious overtures (see EDM, June 11, 12). In most cases, Russia uses pressures up front, while holding incentives in reserve as possible rewards for compliant behavior. With the Western-oriented Azerbaijan, however, Moscow realizes that such methods would be unlikely to work. Apart from freezing as it does the negotiations on the Karabakh conflict, Russia holds no serious levers of pressure on Azerbaijan, nor has anything substantial to offer. Unlike the EU’s other partners in the Eastern Partnership program, Azerbaijan can face Russia confidently from the position of internal political stability, resource-based economic strength, and a consolidated international standing. Baku’s quiet self-confidence relies on three main pillars. 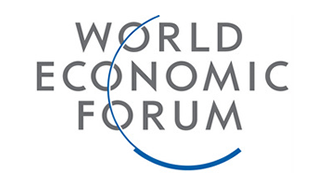 First, the leadership has earned performance-based legitimacy and continuity (expected to be reconfirmed in the upcoming presidential election, scheduled for October 9), which bars Russia from playing internal power contenders against each other, as it would in an immature electoral democracy. Second, Azerbaijan depends neither on Russian energy supplies nor on special access to Russia’s (or the Russian-led Customs Union’s) internal markets. And third, Azerbaijan is a recognized strategic partner of the European Union and the United States through such deliverables as energy supplies and access to strategic transit routes. All these factors cumulatively mitigate any vulnerabilities that Moscow could otherwise try to exploit. President Putin paid a one-day working visit to Baku on August 13, for the first time in seven years (see EDM, August 14, 15). 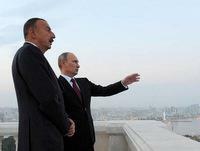 Putin treated President Aliyev to a unique display of deference and friendliness. According to Russian press accounts, the two presidents drove in a car together to board a Russian warship in the harbor, walked together informally along the boardwalk, up on a hill for a panoramic view, and down in Baku’s old town to mix with locals, and ended up at Aliyev’s residence for a cup of tea. “Friendship in Every Way” was the headline in the Russian government’s newspaper (Interfax, Rossiyskaya Gazeta, August 13, 14). In the run-up to the visit, some Baku observers had expected that Putin would ask Azerbaijan to reconsider its policies in the near future: either to join the Russia-led Customs Union (and, with it, a Eurasian orientation) or alternatively to risk economic and political retaliation from Russia. Local observers based such expectations on public statements from Moscow’s leading Eurasianists such as Aleksandr Dugin, Maksim Shevchenko and Valery Korovin, whose visions inspire the Kremlin. They urged Putin to tell Aliyev to make an either-or, “with us or against us” choice between Europe and the United States on one side versus Russia and the evolving Customs Union/Eurasia on the other side. Eurasianists also recommended that Putin should link the resolution of the Karabakh conflict with Azerbaijan’s choice of external orientation (Azadlig, July 23; Vesti.Az, Zerkalo [Baku], August 13). Putin, by all evidence, did not follow such recommendations during his Baku visit. While he is using this approach overtly with Ukraine at this time, he must know that it would be a nonstarter with Azerbaijan. Not only is the leadership in Baku more resilient, but—thanks to that leadership—Russia has lost many levers of pressure and incentives on Azerbaijan that it still wields elsewhere. With Azerbaijan’s presidential election due in two months, Putin’s visit was carefully watched by local political groups for possible signals. Within Azerbaijan’s factionalized opposition, some had expected Putin to retaliate against Aliyev following the non-renewal of the Gabala radar station’s lease and the termination of oil deliveries through the Baku-Novorossiysk pipeline (see EDM, August 14, 15). Some of Baku’s opposition pundits speculated that Putin would publicly signal dissatisfaction with such steps, encourage certain Moscow-based Azerbaijani billionaires to interfere with the upcoming presidential election, or instigate a Lezgin group in Russia to make trouble in Azerbaijan. As none of this was borne out thus far, some opposition pundits complain that Putin’s visit has signaled support for Aliyev’s re-election (Turan, August 11; Trend, The Moscow Times, August 14). One remaining open issue involves the citizenship status of Rustam Ibrahimbegov, a 74-year-old screenwriter nominated by the opposition’s National Council of Democratic Forces as its presidential candidate. A long-time resident of Russia, Ibrahimbegov holds Russian citizenship and is therefore not qualified to run in the election. Azerbaijan’s legislation does not allow dual citizenship; those taking up another country’s citizenship automatically lose Azerbaijani citizenship. Ibrahimbegov has therefore applied to Russian authorities to terminate his Russian citizenship. His supporters worry that Russian authorities might stretch out the procedure to delay Ibrahimbegov’s registration as a candidate (Turan, August 11; Trend, August 14). But, with Aliyev likely to win re-election comfortably (his re-election score was 85 percent in 2008), the Russian authorities’ handling of Ibrahimbegov’s citizenship one way or another does not give them any leverage over Azerbaijan’s presidential election. President Aliyev states from time to time that Azerbaijan has reached a stage in its development where “nobody can force Azerbaijan to do anything [against its will].” Putin’s attitude during his Baku visit seems to reflect an understanding of this fact and perhaps a shift to tactics more appropriate to this situation.